Nothing is so annoying to me than living in a messy or cluttered house. I’ve always lived in somewhat small homes or apartments where I had to minimize the amount of “things” I possessed, or had to find a way to make room by saving space, (or by shoving anything and everything under beds or just push it into the closet! It seemed there came a point where it was just too much and there was nowhere left to put things. Over the years I found I wasn’t alone in this, and that there are a lot of people with the same type of situation or problems – simply not enough space in the home. So I decided to look into maximizing the potential of closets, garages, hallways, pantries, you name it. Some of the best ideas are simple and inexpensive, and you don’t have to add a room onto your house just to make a little more space for the “extras” that are shoved into closets or under the beds. 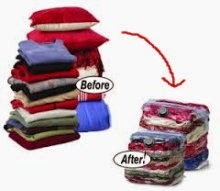 One of the best ideas I came across, as far as closets and clothes are concerned, is the vacuum sealed bags that you may have even seen advertized on TV. You can fit the majority of your winter clothes (in the Spring), and all of your summer clothes (in the fall) into three or four of these bags, vacuum seal them, then hang them up on the back of the closet or even store the sealed bags in the garage for the season. When you come back to get them when the season is over, they’re as fresh and clean as the day you put them into the bags – great idea! n be hung on the inner or outer closet doors, turning a messy closet into a well organized area where you can easily locate anything you need to find. 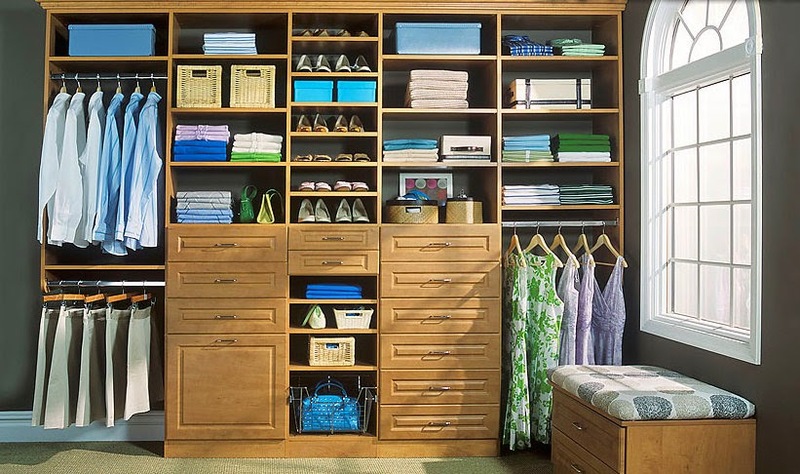 There are also nifty, but sometimes very expensive, “closet cabinets” (See picture) which can be placed against an empty wall – instant closet (from “2.easyclosets.com”)! Consider the hallways also, and depending on their size and shape, you may be able to turn part of it into a space saving area. 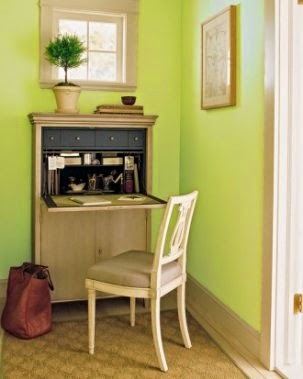 I found I was able to fit a small office desk, caddy-corner at the end of my hallway, and since, at that time, I didn’t have an office, it saved me the trouble of doubling my kitchen, bedroom, or living room as an office of sorts. It’s going to depend entirely on your needs and style, but any cluttered home that you’ve seemingly outgrown can be turned into a much more organized, and much more spacious environment by being “space conscious” and utilizing any of the “space-savers” that can readily be found with just a little research and thought on what needs to be saved, what doesn’t, and using these organizers to accomplish this for you. If you can think of some good ideas and would like to share them with us, please leave them in the comment section. I’m sure it would be greatly appreciated!